Leading Manufacturer of ht standard current transformer, standard potential transformer, lt standard current transformer and vi test set for current transformer from Vadodara. 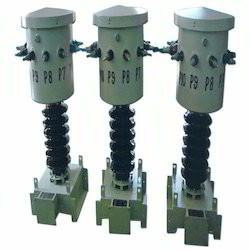 We are one of the authentic names engaged in manufacturing and supplying of Multitap Standard 33kv CTS. 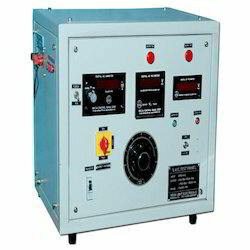 Extensively used in electrical item manufacturing industry, these are known for their accurate results. We are engaged in the manufacturing of a qualitative array of Standard Potential Transformer. These are manufactured in compliance with the standards of the industry by using modern machines and tools. To address the needs of our valued customers, we offer this range with the facility of customization as per their requirements. We are engaged in the manufacturing of qualitative array of LT Standard Current Transformer. These are manufactured in compliance with the standards of the industry by using modern machines and tools. To address the needs of our valued customers, we offer this range with the facility of customization as per their requirements. We have in stores for our clients O.V. I. T. / Composite / ISF / IV Test Set for Current Transformer.